In today’s dynamic global market space, competing on price and quality will never be a game changer. Businesses today are looking to create a brand that speaks their story, that packages their USP and expounds to the world why they are so good. They need a visual depiction of their offering that emotionally connects their business to the consumers, sets them apart from the competition clearly and helps them stand head to head with large multi national firms that are coming into the economy at an alarming pace. These simple 10 steps are important to know when you embark on the journey of rebranding your successful business. The first step in a branding process is to know your strengths and understand what sets you apart. To look inside and see what attributes have lent themselves to your success. Basis this a clear DNA for your company will evolve and this is what has to be communicated in your brand and visual language to your prospective consumers. Rebranding is also an immense opportunity to install change management within the organisation. Communicating to your team that the company has ambitious goals and expect the team to also be involved in the facelift. The process is a catalyst to gear the entire team for the next innings of the organisation. It helps to involve the team in the initial briefing, brainstorming and presentations and be part of the rejuvenation of the organisation. During the rebranding, it always helps to speak to your consumers and key clients and see what they think of you. To ask them what keywords come to mind when they describe you, why they do business with you and what they feel is the DNA of your organisation. Most companies make the mistake of thinking that a brand is a logo. Its not. A brand is your voice and soul and its the emotional connect with your key stakeholders. A brand is a sum total of all the interactions with your business. Besides the visual aspects, your customer service, tone of voice, product or service and even small elements all add up to reinforce your brand values. While doing a rebranding, its paramount to project the company 10 years ahead and think of expansion plans, diversification, acquisitions, geographies and even your exit strategy so the new brand stays relevant. If a firm currently manufactures food packaging and creates a brand that reflects that and later diversifies into logistics for example, the new brand will again be irrelevant. Many companies make the mistake of working with a freelancer, a relative or even the printer to save costs. They usually turn out as a disaster and the exercise is never strategic in nature but purely a visual depiction. An experienced branding expert will bring years of experience and will play a large role as a strategist and spend time understanding your vision, competition, benchmarks, limitations and marketing plan before they go to the drawing board. When the rebranding is done and ready for a roll out, its a great marketing opportunity to connect with old customers, prospects and other stakeholders. Inform them proudly with your new look and share your new vision for the future. It builds new found confidence and respect and translates into business in the near future. After the branding is done and the initial roll out is achieved, many companies make the mess of tinkering and changing the look. Leaving it open for interpretations and short cuts will diffuse the impact of the brand. Make sure the DNA is respected and visual guidelines are adhered to. The brand value is the largest asset in the balance sheer for almost all the the largest companies in the world today. A well brand that redefines your image will over the years convert into closed orders, goodwill, set you apart form your competitors and help rapidly grow the organisation. Don’t see it as an expense but an investment for the future of the business. A rebranding process is a great opportunity to think big and envision the future with lofty goals and aspirations. Its a time for the organisation to think big and see that the business will be able to compete and outrun large multinationals and competitors. Ensure your brand embraces this ambition and represents the image accordingly. 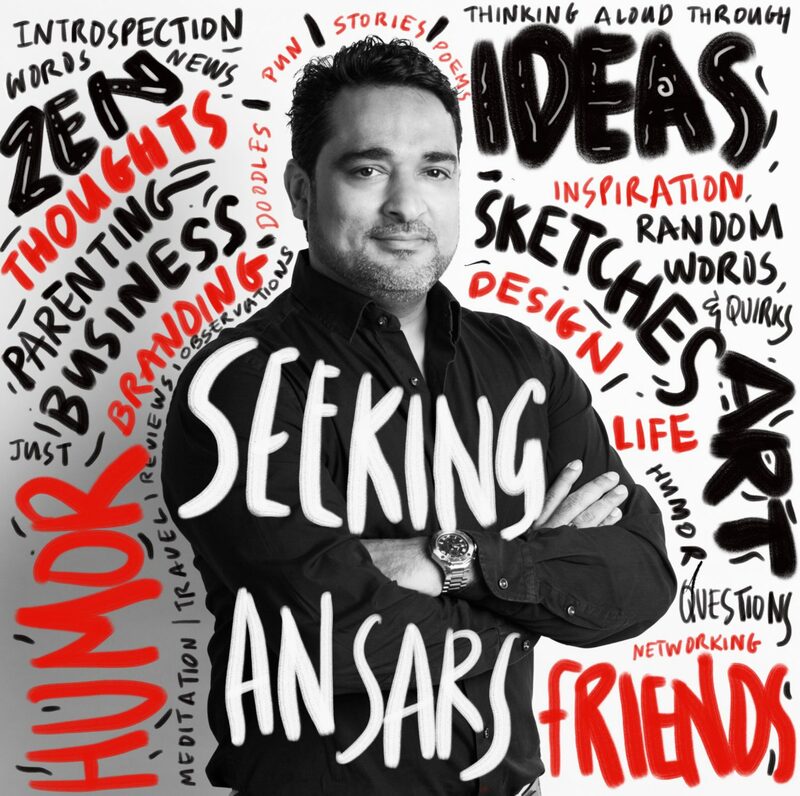 Sajith is the founder and CEO of Idea Spice, a branding firm that has helped create over 1200 brands around the world.